The cheat codes in the table below are available for the Star Wars game called The Force Unleashed 2, an action-adventure video game on the PlayStation 3 video game console. Below the cheat codes is another table of trophies you can earn in this Star Wars game, which you can earn when completing the stated tasks. Cheats for this game are entered using the in-game menu system. Pause the game and select Options, then Cheat Codes, and finally enter the code you want to be activated. The following trophies can be unlocked in Star Wars: The Force Unleashed II on the PS3 console. To unlock a trophy, simply complete the indicated task from the list below. &apos;No match for a good blaster at your side, kid.&apos; (Bronze Trophy) Kill 10 enemies using the turbolasers on the Kamino Drill Grounds. A Measure of Mercy (Bronze Trophy) Complete the game and choose the Light Side ending. Amplified (Bronze Trophy) Kill 10 enemies with the lightning towers. Arachnophobia (Bronze Trophy) Destroy 200 Terror Spider Droids. Awww Yeah... (Silver Trophy) Perform every combat move in the game (excluding combos that require Rank 3 Saber). Betrayed By Rage (Bronze Trophy) Complete the game and choose the Dark Side ending. Break the Bank (Bronze Trophy) Smash up 10 game machines. Bring Down the Giant (Bronze Trophy) Defeat the Gorog. Challenger (Bronze Trophy) Complete one challenge and receive at least a Bronze medal. Champion (Gold Trophy) Complete the first ten challenges with at least a Gold medal in each. Competitor (Silver Trophy) Get a Silver medal on any 5 challenges. Crack the Sky (Bronze Trophy) Destroy the Star Destroyer. Droid Rage (Bronze Trophy) Control the Terror Walker and destroy all the Terror Biodroids. Enjoy The Trip See You Next Fall (Bronze Trophy) Cause 50 enemies to fall to their deaths. Escape from Kamino (Bronze Trophy) Escape Kamino in Vader&apos;s TIE Advanced. Fully Charged (Bronze Trophy) Use an entire bar of Force Power on a Lightning attack. Hat Trick (Silver Trophy) Get a Gold medal on any 3 challenges. Holocron Hunter (Bronze Trophy) Find every holocron. Imperial Painball (Bronze Trophy) Throw 10 enemies into the Kamino generators. It Burns! (Bronze Trophy) Disintegrate 15 enemies by throwing them into red force fields. Jedi Bomb Squad (Bronze Trophy) Remove all of the Terror Spider Bombs on the Salvation. Jedi Grand Master (Gold Trophy) Complete the game on Unleashed difficulty. Jedi Knight (Silver Trophy) Complete the game in Medium difficulty. Jedi Master (Gold Trophy) Complete the game on Hard difficulty. Kamfetti (Bronze Trophy) Kill 5 enemies with the fans on Kamino. Lucky Streak (Bronze Trophy) Defeat 300 consecutive enemies without dying. Master of Disaster (Bronze Trophy) Break all of the coolant tanks aboard the Salvation without dying. Maxed Out (Bronze Trophy) Upgrade all Force Powers to Rank 3. Meeting of the Jedi (Bronze Trophy) Reunite with Kota. Padawan (Bronze Trophy) Complete the game on Easy difficulty. Passive Aggressive (Bronze Trophy) Parry and counter 10 melee attacks. Pied Piper (Bronze Trophy) Entice 10 Stormtroopers to leap to their deaths with Mind Trick. Platinum (Silver Trophy) Get a Platinum medal on any challenge. Poor Bob (Bronze Trophy) Force Grip a Stormtrooper, impale him with a lightsaber, zap him with Force Lightning, then throw him into an object. Return to Sender (Bronze Trophy) Kill an AT-MP by gripping its own missiles and throwing them back. Rookie (Bronze Trophy) Complete the first ten challenges with at least a Bronze medal in each. Shattered (Bronze Trophy) Shatter 10 enemies frozen in carbonite. Sky Killer (Bronze Trophy) Destroy 15 TIE Fighters. Specialist (Bronze Trophy) Upgrade one Power to Rank 3. Stay On Target... (Bronze Trophy) Get to the falling Gorog without crashing into any debris. Strike! (Bronze Trophy) Kill three enemies with a single &apos;bowling&apos; ball. The Circle is Now Complete (Platinum Trophy) Earn all other trophies. The Exterminator (Bronze Trophy) Defeat the Terror Walker. The Jan Stakross Trophy of Excellence (Bronze Trophy) Destroy 12 lightning pylons on the Kamino dive. The Nemesis in Flames (Bronze Trophy) Destroy the Gunship. To the Face! (Bronze Trophy) Reflect 20 missiles back at AT-MPs. Top of the World (Bronze Trophy) Reach the top of the Spire without falling once. Unleashed (Bronze Trophy) Activate Force Fury 10 times. Up, Up and Away (Bronze Trophy) Overload 20 Jumptrooper jet packs. 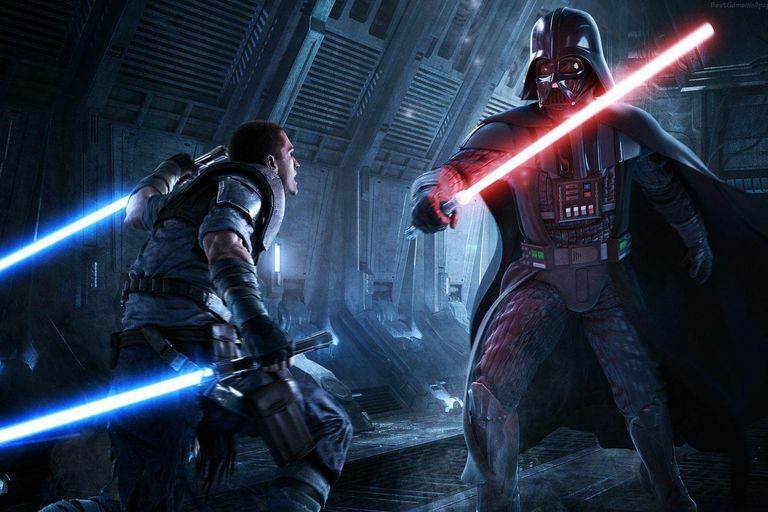 Use the Force, Luke (Bronze Trophy) Complete any combat level using only Force Powers. Valet (Bronze Trophy) Use Vader&apos;s TIE Advanced to destroy the AT-MP. What Are Some Cheats for "Star Wars Battlefront II"?